A dad who knows he will catch all kinds of hell if he eats his wife's McRib Sandwich, can't resist the temptation and does so anyway. 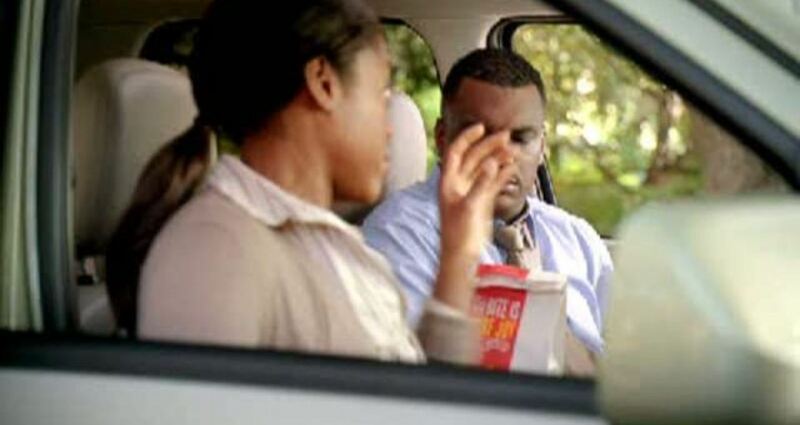 The purpose of the commercial was to acknowledge the near fanatical love people have for the McRib Sandwich. Daycare was produced to announce the return of one of McDonald's most popular sandwich offerings, the McRib Sandwich. The only technical challenge we encountered was making the decision whether or not to shoot the scenes of the dad, with or without the windshield on the car.